Hung high for visibility, this New and Only At Target Ceiling Sign also points the way to the excitement as a directional. 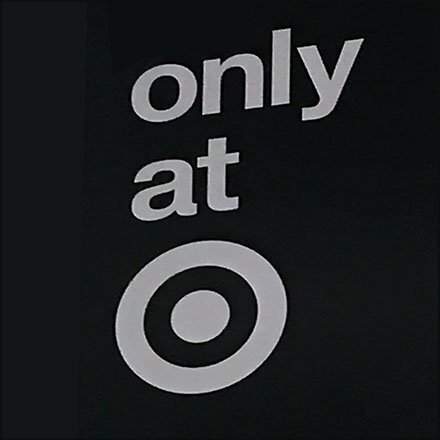 A Target logo brands and personalizes the design. Missing, assumed on purpose, is the red color as Target branding. But maybe that makes the sign more distinctive. This New and Only At Target Ceiling Sign seen at Rockaway Townsquare Mall, Rockaway NJ.